← Free Sample Of Suave Professionals Natural Infusion! Free Popcorn Seeds! Grow Your Own Popcorn! Want to grow your own popcorn??? 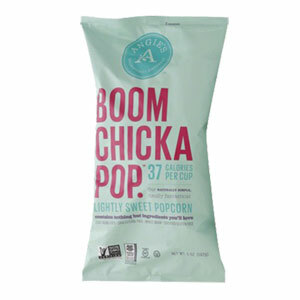 Click here to get a free pack of Boom Chick A Pop popcorn seeds!! How do you grow popcorn you ask? Plant seeds directly in your garden, approximately 8-12″ apart in at least 2 rows, 1-2″ deep. Water, fertilize and weed regularly. Plants should mature in 100 days. 2. BOOM! IT’S TIME TO HARVEST! Once the ears have formed, dry on stalks until brown. After harvest, place ears in cool, well-ventilated space. Store fully dried kernels in sealed, airtight containers. Follow your popper’s instructions. Season to taste. Invite friends (me) and family over to taste your very own BOOMCHICKAPOP® flavors!